I am an artist working with the Cobb Institute of Archeaology at Mississippi State University while also pursuing personal work in ceramics and drawings. 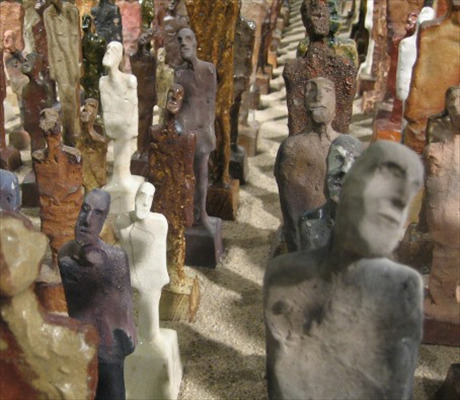 My work ranges from pastel landscapes to nonobjective, nonfunctional ceramic sculpture, to abstract drawings, to a ceramic sculptural installation of one thousand individual figurines. I also volunteer in support of the arts in north MS with Eupora Arts Inc, the Starkville Area Arts Council, and at Mississippi State in support of the Department of Art and the university Galleries and Museums committee.